Today, we actually got out and away from home for a few hours, shopping and also made a stop at the USC so Sandra could collect a marked essay that she had been waiting on. Of course, I took my camera with me and was happy that I did as I snapped a couple of photos while I waited in the car for Sandra. I love going to USC because it is such a wildlife friendly campus and there is nearly always something interesting to take photos of. Today was no exception. 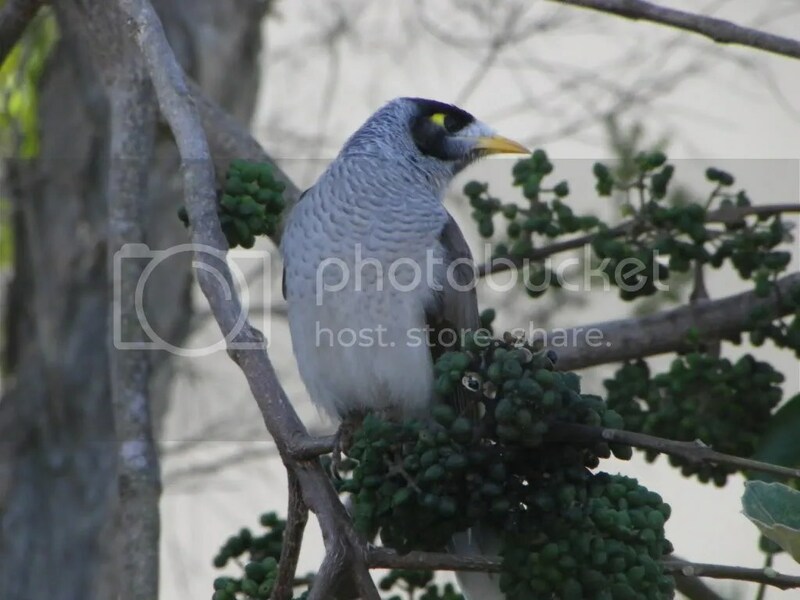 I snapped this “Noisy Minah” bird who was feeding on the seeds of one of the trees near where our car was parked. 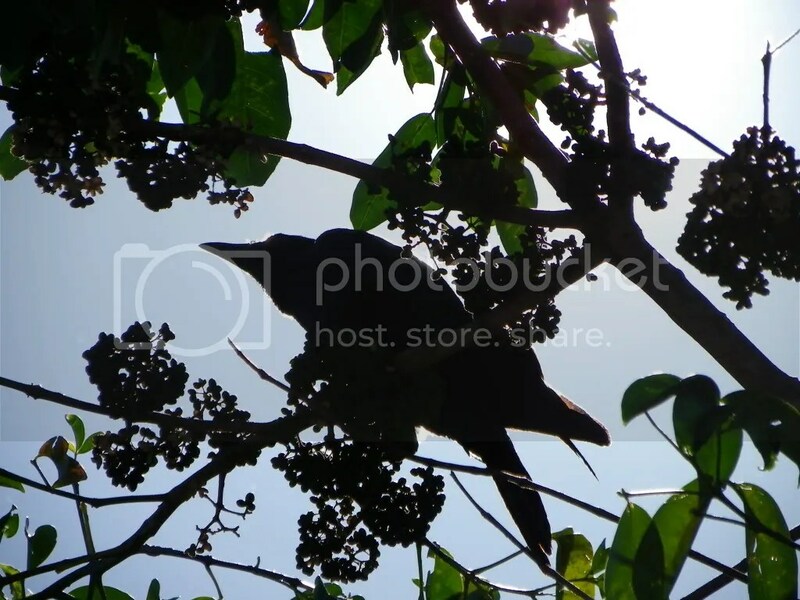 The camera lens didn’t quite capture it, but to the naked eye, the bird seemed to be outlined in silver from the sun behind him. It looked lovely! I wish I could have captured it better. Finally, I took a photo of the Banksia trees which are in bloom at the moment. There are a series of books that I grew up with. They were written and illustrated by May Gibbs, and recounted The Adventures of Snugglepot and Cuddlepie, the Gumnut Babies. 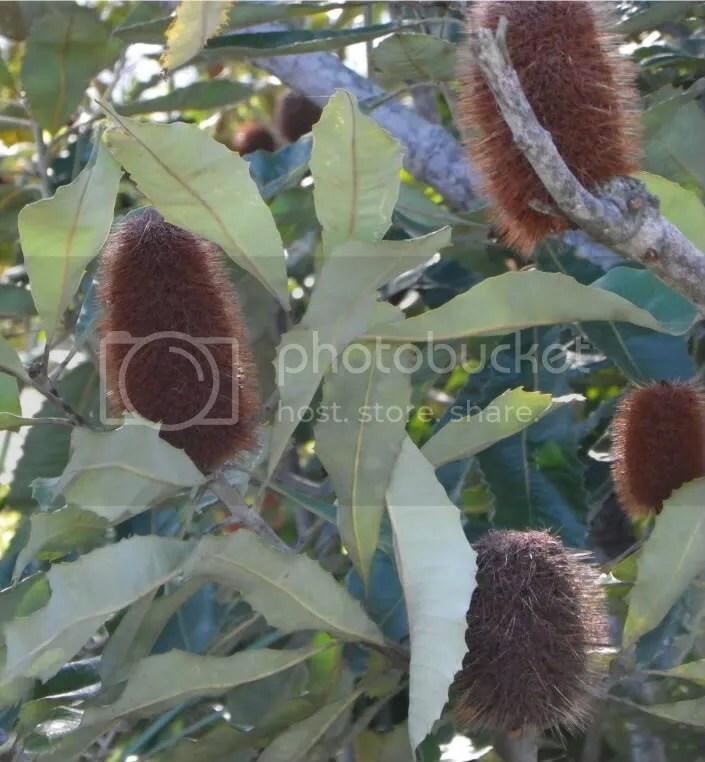 In those books, the villains are the “Big Bad Banksia Men” and they are based on these trees. 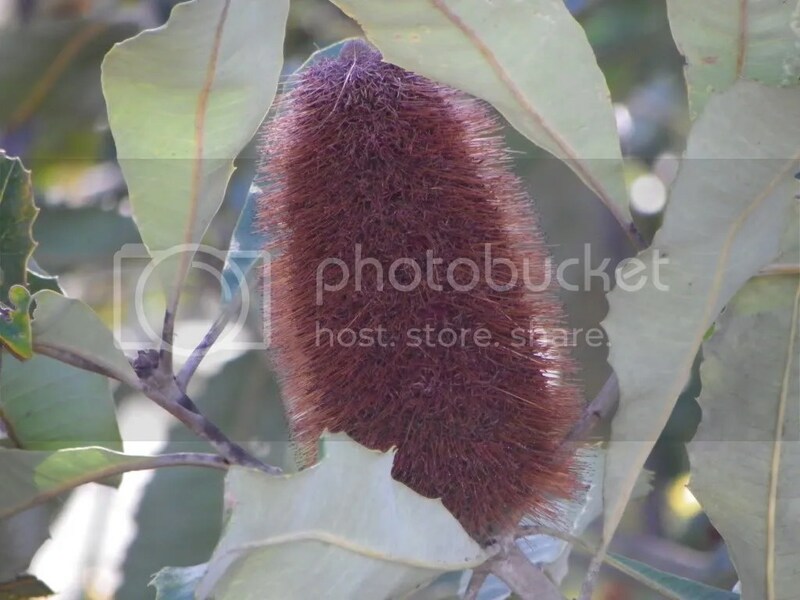 I can’t see the Banksia flowers without recalling snugglepot and cuddlepie with a smile. This second photo shows the Banksia flowers in various stages of their lifecycle, including the die-off phase which is the phase used to depict the big bad banksia men in the books. 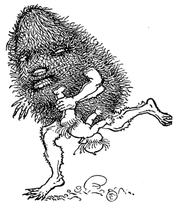 A Banksia Man running off with a poor little gumnut baby!